Today is my Sabbath. It’s obviously not a digital Sabbath. It’s a talking Sabbath. 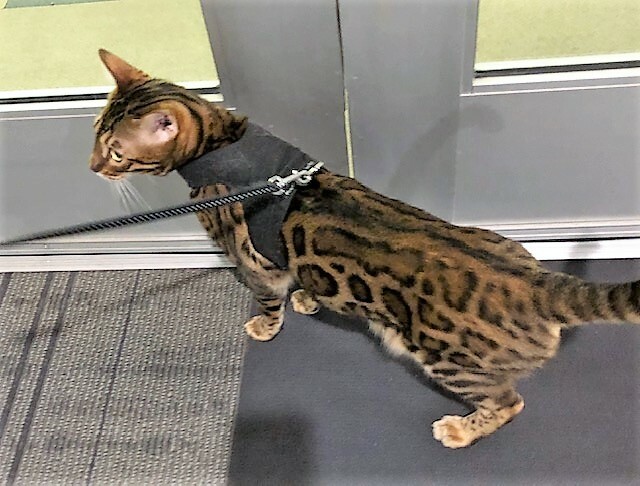 I’ve talked with exactly eight human beings today including two family members, two restaurant servers, one pedicurist, one security guard, one cashier and the guy in my building who has a new domestic Bengal cat. I have no plans to talk with anyone else today. Quiet is a privilege and a luxury. There are places on the earth where people live in silence as a spiritual practice but most of us live in constant noise: horns, crying, cheering, yelling, talking, shooting, television, radio, barking. As I write this, the only sound I hear is my clothes dryer and it’s a comfort really. I have a working clothes dryer in my very own apartment and that’s a lot. This is not a strict No Talking Day (those eight people) but it’s more quiet than I usually get. Myers Briggs Introverts need their silence to re-charge. I’m re-charging with Jesus today. If Jesus wants to talk, that would be fine. Image of my neighborhood Bengal. I try to stay home one or two days each week where the only bodies I have to talk to are my husband and the cats, oh, and maybe a squirrel that comes into the backyard. Many days, my husband is gone on his own schedule so I am alone and our neighborhood is very quiet. It’s wonderful.